Morse Code Training Watch brings nostalgia and technology together! On your Apple Watch it shows you the current time in Morse characters. 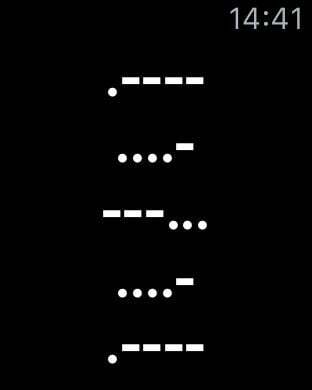 Tap on the display and you hear the current time in Morse code. It also works on your iPhone. When you tap on a line, the display changes between Morse characters and the numeral.